The 2018 Honda Accord’s safety features place it in a league of its own, and once you’ve had the chance to test them out, it won’t be hard to see why this year’s model is one of buyers’ most wanted vehicles. It’s not just your neighbors who have good things to say about this one-of-a-kind sedan. 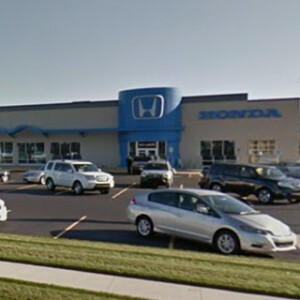 Drivers in Mid-Michigan will surely be excited to learn the Honda Accord received glowing reviews from both the National Highway Traffic Safety Administration and the Insurance Institute for Highway Safety! 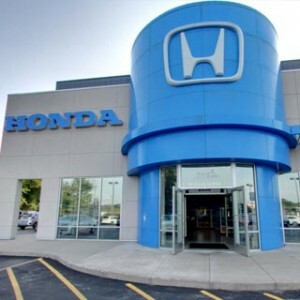 By equipping the Honda Sensing safety package on every Accord trim level, Honda has gone a long way toward making the roads safer for every driver. 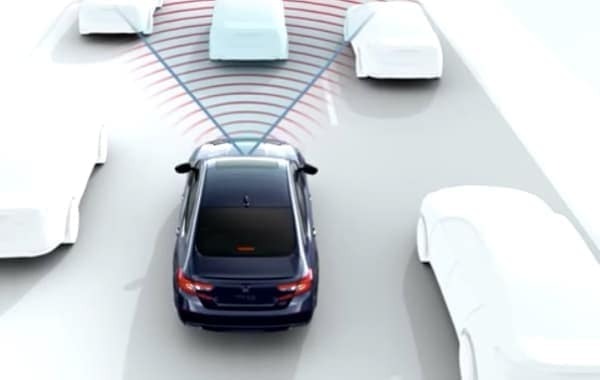 The Honda Sensing package includes a Lane Keeping Assist System, a Lane Departure Warning, and Road Departure Mitigation technology. By utilizing a system of cameras, which detect lane lines and keep track of the road’s edge, these features help to prevent unintended movements, reduce congestion, and keep you centered in the lane of your choice. 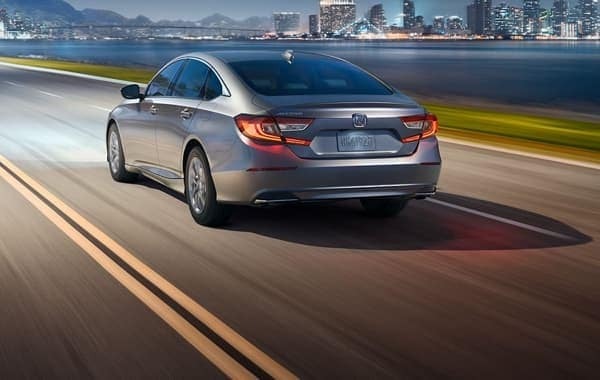 While operating with Adaptive Cruise Control, your Honda Accord will automatically keep its distance from other vehicles in your lane. You’ll be able to set your preferred follow distance using the related Low-Speed Follow feature. 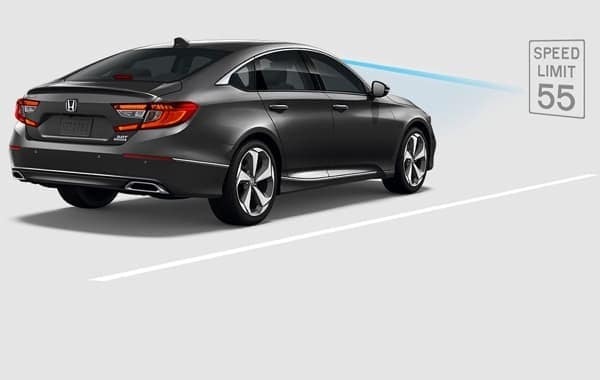 The Accord’s Forward Collision Warning and Collision Mitigation Braking System constantly scan the field in front of you for obstacles and surprises. When these features detect danger that the driver does not, they can bring your vehicle to a complete stop. 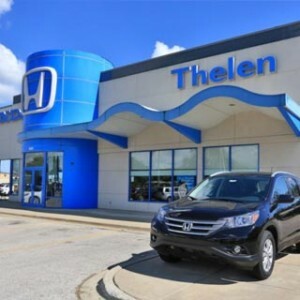 Traffic Sign Recognition is the newest Honda Sensing feature, and with it, your vehicle’s onboard computer will automatically detect and register information that’s valuable for the driver—including changes in the speed limit. 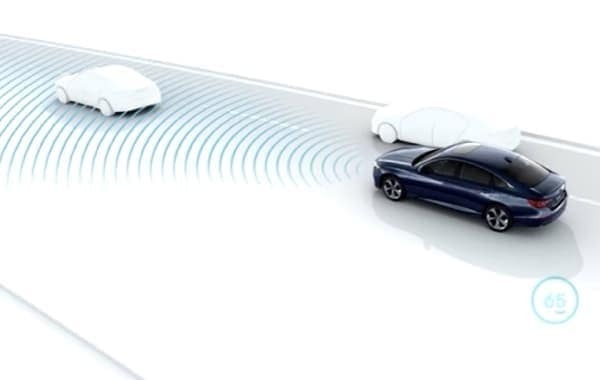 Technology features are redefining nearly every aspect of the driving experience, and vehicle safety is certainly no exception! 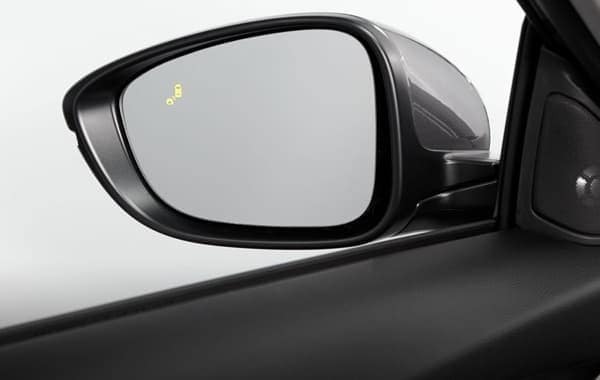 When you’re moving at highway speeds, a small red indicator near each side-view mirror will light up if it detects movement in either blind spot. 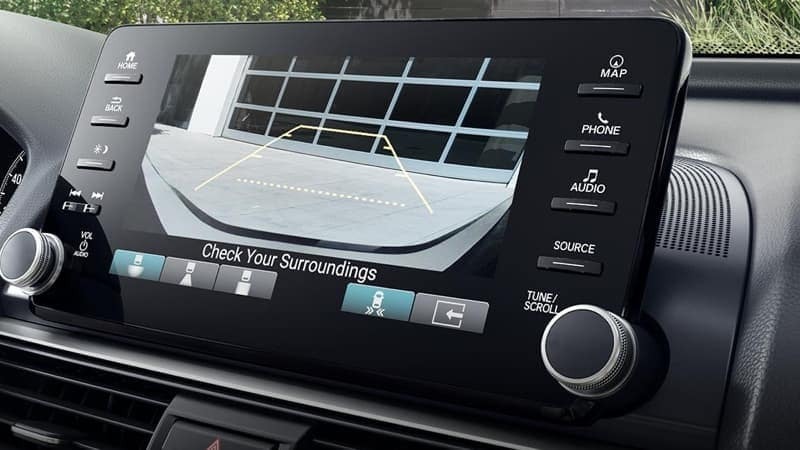 The BSI also includes a rear cross-traffic monitor, which looks both ways for you when you’re backing out of a driveway or a parking spot. Both come standard on the EX. Maximizing your visibility is important in any nighttime driving scenario, but you’re encountering occasional traffic, traditional high-beam headlights can become a hindering distraction. These automatic high-beams adjust their brightness in response to the presence or absence of oncoming traffic. They’re standard even on the LX. 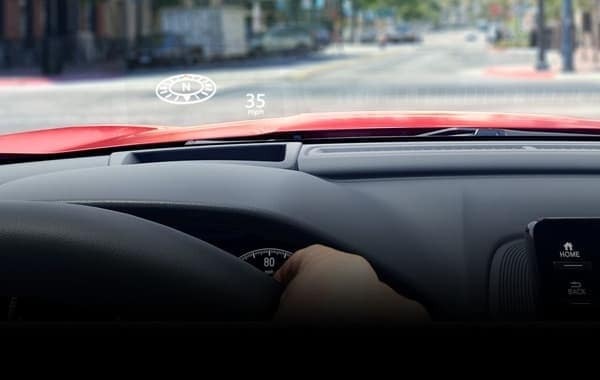 Drivers who upgrade all the way to the high-end Touring trim level will be able to take advantage of a convenient Head-Up Display. When it’s active, you can display a variety of information—including your current speed, incoming calls, navigation instructions, and much more—directly on your vehicle’s windshield. We’ve barely scratched the surface of what the 2018 Honda Accord has to offer. The following active and passive safety features each come standard right in the Honda Accord’s baseline LX trim level. 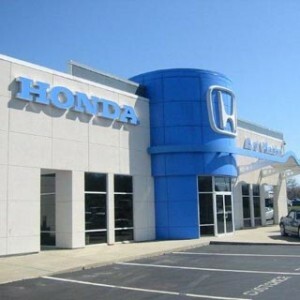 Take the Accord for a Test Drive! 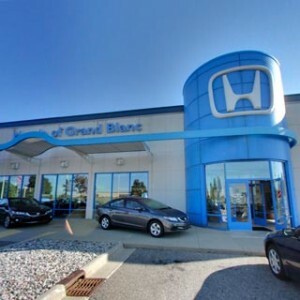 The 2018 Honda Accord’s safety features are some of the most advanced technologies you’ll find on any vehicle today, and because many are available even on its most affordable trim levels, it’s the perfect sedan for Mid-Michigan’s families. Curious drivers can find out how to take this year’s Accord for a test drive by starting a conversation with one of our expert representatives. The new Accord is available now at your local Mid-Michigan Honda Dealer, and thanks to our current offers, there’s never been a better time to get behind the wheel.